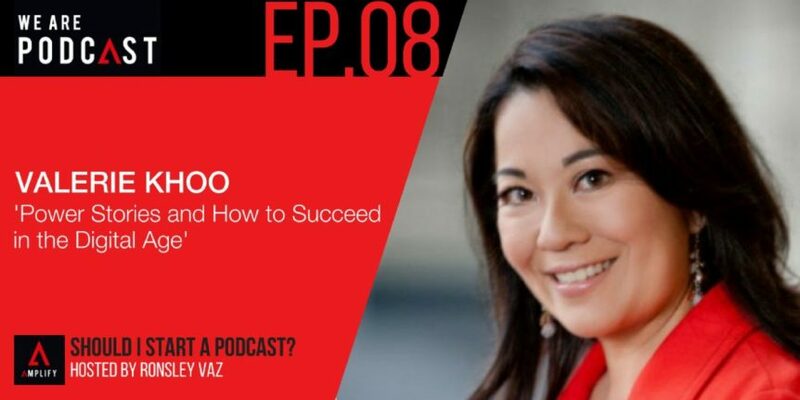 Valerie Khoo is an author, speaker and multi-passionate entrepreneur with several growing businesses under her belt. She is a prolific content creator who has steadily built her public profile over a period of years by personally engaging with her online community, not to mention adding value in the form of words (blog posts), audio (podcasting) and video. I regard Valerie as one of the best content marketers in Australia. Not only that, she also leverages social media brilliantly for her business – the Australian Writers’ Centre – as well as for her personal brand. Getting the balance right between business brand and personal brand is difficult; indeed, it’s an issue many professionals entrepreneurs face and grapple with. Another issue professionals face when it comes to ‘putting themselves out there’ on social media is managing one’s professional versus private self on social media. How did Valerie end up creating a podcast? How is it feel like working when you have co-hosts? What have she managed to achieve so far from her Brand by doing a podcast? What’s the biggest asset that a podcaster should have in interviewing people? What would make Valerie’s podcasting journey easier?